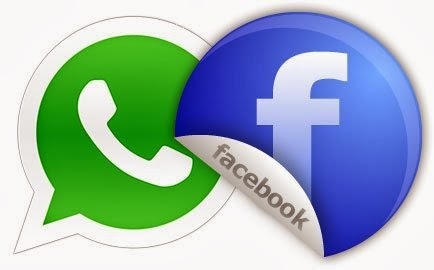 Home » facebook whatsapp » Whatsapp sold » whatsapp sold at $19bn to facebook » NEWS : Whatsapp SOLD OUT ! One of the largest Chat Messenger today used by more than 2.7 billion users all across the world and more than one million users adding each day is now under Facebook Ltd.
Facebook bought Whatsapp for $19 billion dollars.The purchase includes $12 billion in Facebook shares and $4 billion cash. It calls for an additional $3 billion in restricted stock units to be granted to WhatsApp founders and employees that will vest over four years. Mark Zuckerberg says that Whatsapp has done something that a great achievement ever done in history , gathering so much users within few years.He also added that WhatsApp -- a cross-platform mobile app which allows users to exchange messages without having to pay telecom charges -- was worth the steep price because its fastening growth around the globe has it on a clear path to hit a billion users and beyond.